As Anglicans, we say that the way we make decisions is by meeting and deciding together, at every level of the church. 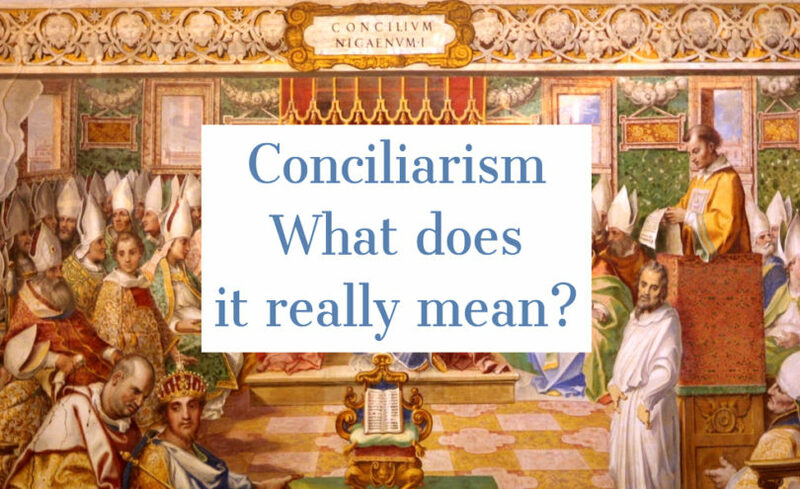 We do it in “councils”—which is where we get the adjective “conciliar” and the noun “conciliarism.” Conciliarism is the way Anglicans make decisions. In your own local Anglican church, you will find this “council” at the annual congregational meeting, and between those meetings through a representative group called the vestry. At the diocesan level, this happens at the annual diocesan synod—gathering all of the clergy and lay delegates of every congregation to meet together “in council” to make important decisions that affect the life and mission of the diocese and its congregations. Between the annual synods, a “standing committee” of clergy and lay leaders from across the diocese meet to continue the work of the annual synod. 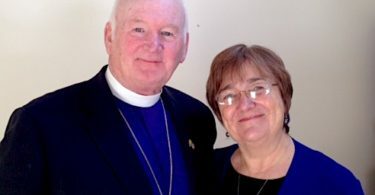 At the national or provincial level, this happens at the annual provincial council (in many Anglican provinces it is called the provincial synod), and in the twice-every-five-years provincial assembly. The Anglican Church in North America (ACNA) just so happens to be holding its Provincial Assembly this year. At provincial council and provincial assembly, bishops, clergy and laity—representing the whole Church—come together from every diocese to make important decisions affecting the life and mission of our province, the ACNA. Between these annual and twice-every-five-year councils, an “executive committee” of clergy and lay leaders elected as representatives from across the province meet together to carry on the work of the provincial council and assembly. This Executive Committee also includes the Archbishop and the ACNA bishop in charge of Provincial affairs (the Provincial Dean). Anglicans often use the words “council” and “synod” inter-changeably. The word “synod” comes from the Greek sunodos, which means literally “people travelling the same way.” Isn’t that a great word to differentiate decision making in the Church from secular politics! It’s not something we see in secular government. There, you see the exercise of power, satisfying moneyed interest groups and personal ambitions, or mere majoritarian rule. In the church, in the synodos, it’s about the people—laity, clergy and bishops—walking together in the same way. That way is the way of following Jesus Christ, walking together according to his word and his ways, utterly submitted to his authority in every area of our personal lives, our ministries, our churches and our mission! Within Anglicanism today, we have a global problem. We are missing this way of conciliar governance at the global level of the Anglican Communion. As I have written in my book Anglican Conciliarism and elsewhere, the Anglican Communion is suffering from a proliferation of false teaching that often presents itself in matters of human sexuality and marriage. It is a crisis of false teaching that goes to the very essentials of what we believe as Christians, as people who follow Jesus according to God’s authoritative word, the Bible, and to the “faith once delivered to the saints” (Jude 3) through the Apostles. Instead of a people walking together in the same way, the Anglican Communion has become a group of people divided over the very essentials of the faith, unable to walk together because we hold mutually exclusive views of such fundamentals as the divinity of Jesus Christ, the problem of sin, salvation by grace alone through faith alone in Christ alone, his substitutionary death on the cross for our sins, his physical resurrection, and the ultimate authority of the Bible in all matters of faith and practice. All of the current structures that are supposed to hold the Anglican Communion together—the Archbishop of Canterbury, the Lambeth Conference of Bishops, the Anglican Consultative Council and the Primates Meetings—have failed. In Anglican Conciliarism, I describe how this came to be. The main point that I continue to make is this: at the level of global decision making for the Churches of the Anglican Communion, this form of “conciliar decision” making was never truly implemented! And this, even though we find this way of decision making at every other level of the Anglican church. I’ve written a lot about how we can implement truly conciliar governance at the global level of the Anglican Communion. But I’d like to reflect on one aspect of it as seen in the history of the American Anglican Council. The American Anglican Council has always functioned as a council. Our Board of Trustees represents the whole church. 10 bishops, 10 clergy and 10 lay leaders serve as Trustees. 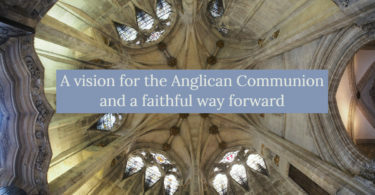 The American Anglican Council formed in 1996 to gather together leaders of many groups who were seeking to reform and renew the Episcopal Church from the inside out. We were, and still are, a people walking together in the same way, in Christ and under the authority of God’s inspired and flawless word, the Bible. In fact, we even have a “confession of faith” that we subscribe to called “A Place to Stand” which declares exactly what it means to be a people who walk together in these turbulent times in the same way, in Christ. There was a time when Bishops had an absolute veto on anything the rest of the council decided. Any one bishop alone, or the bishops together, could veto any decision that the clergy and the laity decided we must take. For some time, this actually limited what the AAC could do. Sometimes, the bishops’ veto seemed motivated by fear, or intimidation or denial of what was plainly evident in the increasing secularization of the Episcopal Church. So, one day, when the bishops didn’t show up to a board meeting, Canon David Anderson, who is now a bishop, took the opportunity and changed the By-Laws to remove the Bishops’ veto. In the end, the AAC was able to do much more, and also with the counsel of godly bishops who participated fully with the clergy and lay trustees as a people walking together in the same way. Please don’t get me wrong. I’m not saying that archbishops and bishops are the source of our problems! Anyone who knows me and my work will know that I have the highest respect for the office of bishop and their succession of the Apostles in proclaiming the faith once delivered to the saints and guarding the apostolic faith and order of the church. But sometimes, bishops can be part of the problem. Sometimes they are false teachers. Sometimes they create division in the church by acting as “prophets” instead of guarding the faith and order of the church. Sometimes they even act out of fear, slowly compromising with the culture around them. Lord have mercy! We pray for our bishops that they may be shaped and sustained by Christ, His word and Spirit! If we look back to the Biblical roots of conciliar decision making in the Jerusalem Council in Acts 15, it was the apostles and elders who met together (Acts 15:6) to consider the question whether the Gentiles needed to be circumcised and come under the law in order to be Christians. If the Apostles were the forerunners of our bishops, who were the “elders” (as distinguished from the apostles) but forerunners of our clergy and lay leaders? It was the whole assembly (Acts 15:12) who listened to Barnabas and Saul share about the mission to the Gentiles, the signs and wonders accompanying, and the plea not to place on the necks of the Gentiles the yoke of the law that neither the apostles nor their Jewish brethren had been able to bear. And it was the Apostles and the elders “with the whole church” who published and delivered the letter from the Jerusalem Council to the churches (Acts 15:22). If we are going to find any solution to the “ecclesial deficit,” the lack of conciliar governance at the global Communion level, the whole church must be represented in the decision making. And each part of the body—laity, clergy and bishops—must have a meaningful and substantial role in the decision making.